Titles you've borrowed from the library will automatically be returned at the end of their lending periods. 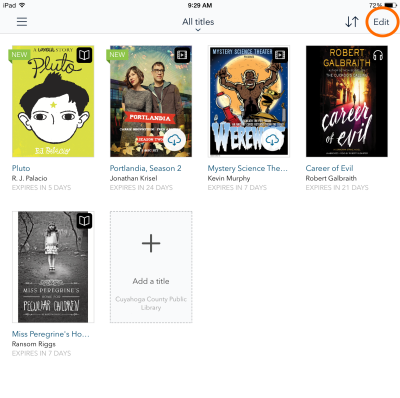 However, if you finish eBooks, audiobooks, or streaming videos before then, you can return them using OverDrive for iOS (to free up space on your library account). 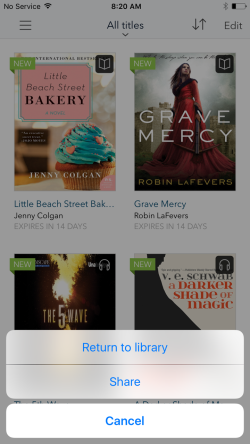 If you only need to return one title, tap and hold it on your app bookshelf, then tap Return to library. From the app bookshelf, tap Edit in the top-right corner. 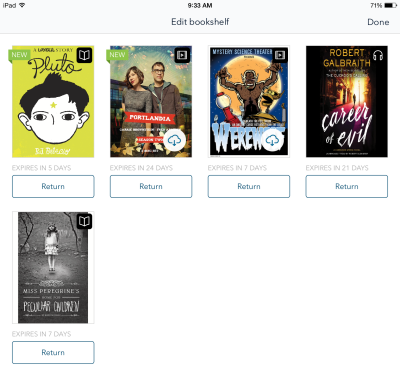 Tap Return to send a title back to the library and delete it from your device. Tap Done when you finish editing your bookshelf.